The 8 Best Brunch Spots in Arkansas! Rise and shine—it’s time for brunch. When it’s too late for breakfast and a bit too early for lunch, then a delightful brunch is the perfect answer. 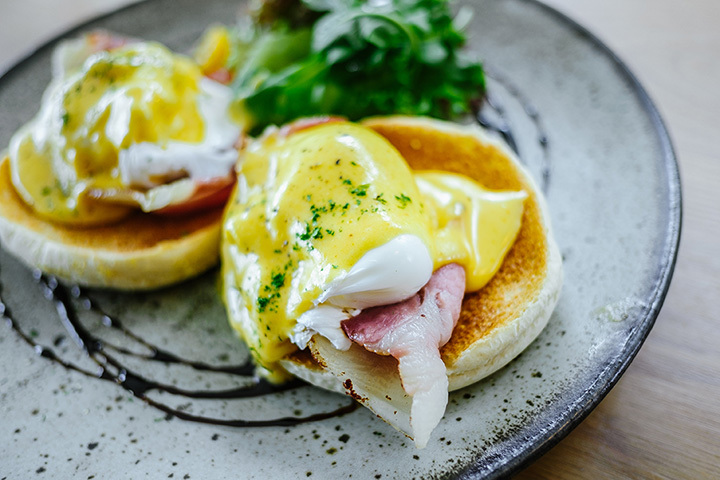 Check out our picks for the best places to brunch in Arkansas. Wake up to wonderful at your local Egg & I restaurant, the place to go for breakfast, brunch, and lunch. This great brunch place got its name from the 1940s-American memoir written by Betty MacDonald and is well-known for, well, eggs! You’re sure to be satisfied with everything on this great brunch menu. Come experience authentic Brazilian cuisine at great restaurant in Little Rock. Café Bossa Nova was founded in 2002 by husband and wife team Dan and Rosalia Monroe. Using recipes from her native home of Brazil, Chef Rosalia creates some delicious dishes like Salpicao 16 and Picanha na Tabua 25. They’re creating conscious cuisine here at Greenhouse Grille, where they are connected by a common desire to be a part of something bigger than themselves. Not only does Greenhouse Grille support local farmers, artisans, and organizations, but guests can expect to be treated to an exceptional dining experience. The Sunday brunch menu includes favorites like shitake fries, salmon cake benedict, and blackened shrimp and grits. This great spot has been a part of the Springdale community for over 15 years now and is well-known for excellent customer service and mouth-watering food. Nothing is squeezed from a tube or a bag here at The Steam in Springdale and guests have long-enjoyed everything from soups and salads to the awesome sammiches. One Eleven features an amazingly vast menu designed by renowned chef Joel Antunes. With his hand-selected culinary team, Joel creates the most amazing dishes using the freshest and finest ingredients from small local, regional, and national suppliers. One Eleven at the Capital offers Sunday brunch from 10 a.m. to 2 p.m.
Come on in and try some of the award-winning appetizers at Café Rue Orleans in Fayetteville. This family-friendly restaurant features a casual atmosphere and is well-known for its authentic New Orleans cuisine. Popular menu items include fresh Louisiana gulf oysters, Boscoli olive salad, and fresh andouille from South Louisiana. Head to this great spot in Fayetteville to start your day off with some fun-filled service, refreshing drinks, and, of course, great food! All the benedicts here are served with seasonal salads. Prelude Breakfast Bar is open Monday through Sunday from 8 a.m. to 2:30 p.m.
Come celebrate both life and flavor here at Copeland’s of New Orleans, which has been serving the Rogers area since 1985. The goal of this multi-generational family-owned and operated restaurant is to provide an outstanding dining experience. Copeland’s has multiple locations throughout Arkansas, Florida, Georgia, Louisiana, and Texas.